This licenced Honey Monster Costume is ideal for Comedy fancy dress occasions, included in the costume is Mask, Jacket, Gloves and Boot Cuffs. 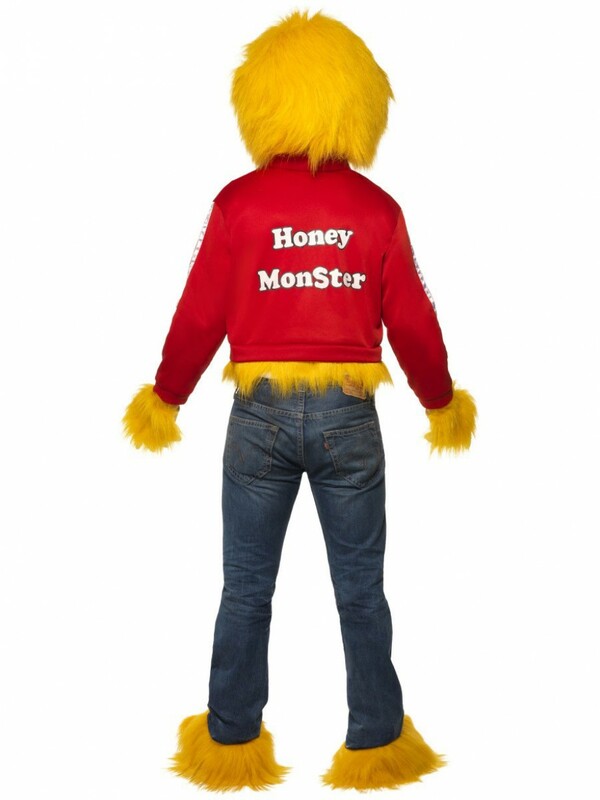 A truly deluxe costume; this licenced Honey Monster Costume is perfect for any Comedy/TV/Decade fancy dress occasion! Included in this costume are Mask, Jacket, Gloves and Boot Cuffs. The large overhead mask is full of amazing detailing, just like the real thing; the mask has luxurious yellow fluffy detailing and an open mouth design. The mask has also has googly eyes. Also included in this deluxe costume is a red zip-up jacket with ‘HM’ printed on the left side in white writing and two zipped pocket, one either side. The back of the jacket has ‘Honey Monster’ printed on the back. In addition a pair of yellow gloves are included with a patch of fur on the front. Finishing off this exceptional Honey Monster Costume is a pair of matching boot cuffs to wear over your shoes. 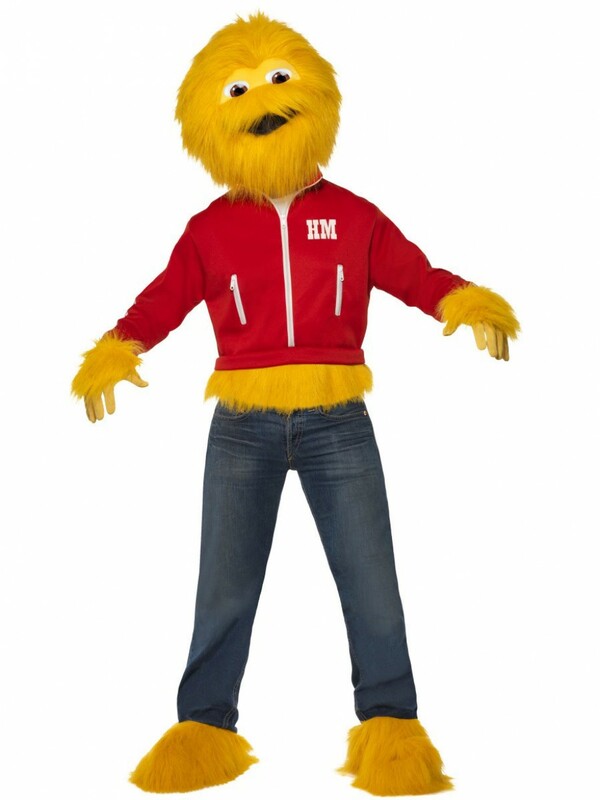 A brilliant licenced Honey Monster Costume, perfect for Comedy/TV/90s themed fancy dress! 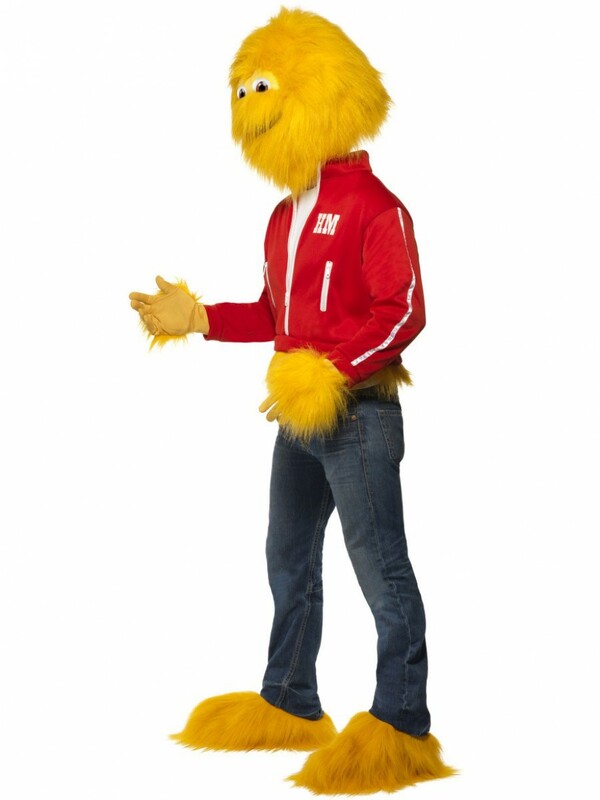 Honey Monster Costume including Mask, Jacket, Gloves and Boot Cuffs.